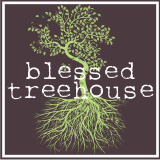 Blessed Treehouse: 25 years between them. Sunday was my daughter's six month birthday. And though she's been in my life for six whole months, I still can't believe she's mine. In honor of her "birthday," my sister surprised Harper with a doll (thanks, MoMo). And not just any doll, a Rainbow Brite! Y'all, Rainbow Brite! I have fond memories of my Rainbow Brite (specifically my colorform set). Though I remember a rounder, less-Barbie-like Rainbow Brite, I'm still filled with nostalgia as I look at this colorful, eclectic, and vibrant character. And don't Harper & Rainbow Brite make cute friends? Can you believe there are 25 years between them? Rainbow Brite's got it goin' on. What childhood character do you hope to share with your children? Strawberry Shortcake and the Care Bears already came back. Nina loves SS. And yes, Rainbow Brite used to be shaped more like Harper. Speaking of Harper, could she GET any cuter?? Wow...Rainbow Brite is gorgeous. She has sure grown up! Brian does most of the sharing in our house. Transformers, speed racer, etc. The boys just look at me funny if I mention Strawberry Shortcake or Rainbow Brite, sigh. Love these Pics!! This past year I got my barbies out for Emma to play with....I had a collection of 9 from back when I was her age through 10 or so. Ummmmm....Emma got EIGHT of her own barbies this year alone for Christmas! Mine back in boxes, hers are way more "cool". However she did keep out my old Ken and he is currently wearing a dress - chrocheted from my dear Grandmother...that makes my day. Jill, you kept all your Barbies! I'm so impressed. My sister and I went through a weird phase where we chewed their hands and feet and popped their heads off. I don't know if any of them were salvageable.